Spring is coming, guys! As much as I appreciate the coziness that winter brings, I love warm weather and am so excited for it! There was a warm weather spell last month that put everyone in shorts and t-shirts. This meant my Mediheal sunscreen was too heavy, so I searched my stash of sunscreens and picked out the Troiareuke ACSEN U.V Protector Essence to try. 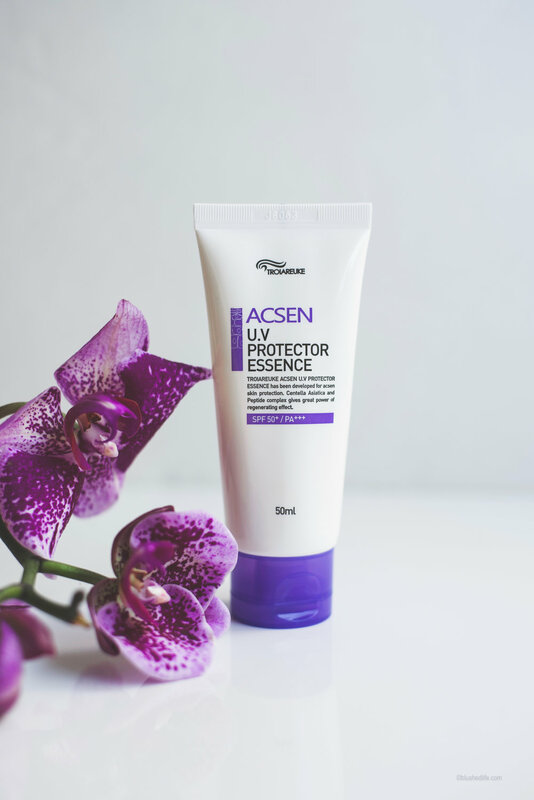 The Troiareuke ACSEN U.V Protector Essence is a physical and chemical sunscreen formulated with Centella Asiatica. It offers SPF50+/PA+++ protection. This formula is combined with essence to give a fresh, light, and smooth texture all while protecting the skin from pollutants and irritation. It comes in a 50ml tube that is currently selling on Amazon for $55. I purchased mine in Korea for $69, but it came with the A+ cushion. The sun protection ingredients here are: Homosalate, Bis-Ethylhexyloxyphenol Methoxyphenyl Triazine, Titanium Dioxide, and Ethylhexyl Triazone. While not considered very harmful, BHT is one that ingredient conscious friends might want to pay attention to. Aside from that, no significantly harmful ingredients were found. 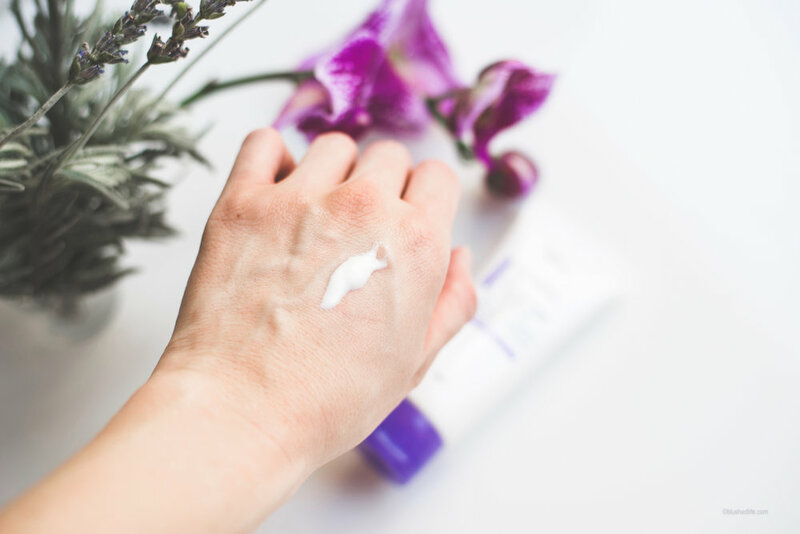 Ingredients such as Aloe, Centella Asiatica, Glycerin, or Ascorbyl Glucoside offer moisturizing, antioxidant, and anti-inflammatory benefits for the skin. Um, I’m just going to say I love this sunscreen! The texture is super thin and watery, and absorbs into the skin almost instantly. You feel lightly hydrated with no sticky feelings or greasy residue. There is no white cast and it wears well under makeup. For those who are sensitive to smells, this one unfortunately does have added fragrance. It’s not too heavy, but it smells fresh/clean. Thankfully it has not caused me any irritation or broke me out. On me, the fragrance faded within 5-10 minutes then it just smelled like regular sunscreen. Another big plus is I wore this while working out and all the sweating did not cause my eyes to sting. Yessss! This is a beautifully formulated sunscreen that has just made its way onto my permanent shelf. It is pricey, but I think it’s worth it for the quality. And, Troiareuke offers promos from time to time so you get a deal. I highly, highly recommend it!